You’re already in the most expensive city in the States, so you might as well spend your time getting tipsy perched at the Top of the Mark. 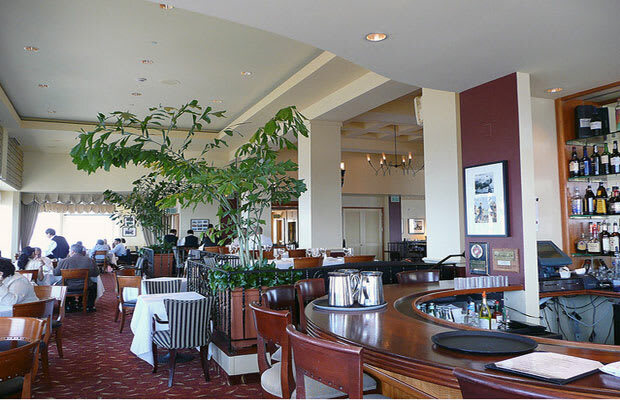 Situated on the 19th floor of the InterContinental Hotel, this sky-high bar boasts views of a San Fran you only see in brochures, with the Golden Gate Bridge and the entire city skyline weaving its way into the distance beneath you. It may be difficult to remain decisive once you scan the 100 martini options, but that gives you an excuse to try a few. With a swing band providing background music and weekly theme parties on behalf of the hotel, you’ll feel like a tourist, but you’ll actually like it.